100 Uses For Paracord Checklist! Paracord was popularized for its use in parachute riggings for military airborne units. Hence the name paracord, for parachute cord. You’ll also hear paracord referred to as 550 cord. That’s because each stand is able to hold 550 pounds before it breaks. More importantly paracord is made of a woven nylon sheath and contains 7 inner strands (or cords) that can be used for various purposes. In totality paracord has well over 100 uses . But we wanted to take the time to list out 100 for you so you can see how valuable it is as a survival tool. Once you read this list you’ll understand why paracord isn’t just a cool piece of military surplus to own…it’s a lifesaving piece of equipment you can’t be without. 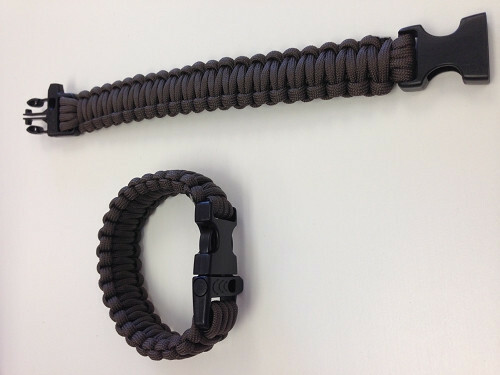 Take a look at the various uses you can find with paracord. 30. Use it to compress loose packs and bags. 43. Tie door down to prevent forced entry. 44. Hang a mirror or other large objects. That’s seriously just scratching the surface! Tell us if we missed anything in the comments below! This survival tool is packed full of survival goodies. This grenade has 9 feet of Paracord wrapped around essential survival items, including: Knife blade, fire starter, fishing hooks (2), fishing line, fishing weights (2), fishing floats (2), swivels (2), tin foil, and tinder. Show your pride for USA while being prepared! 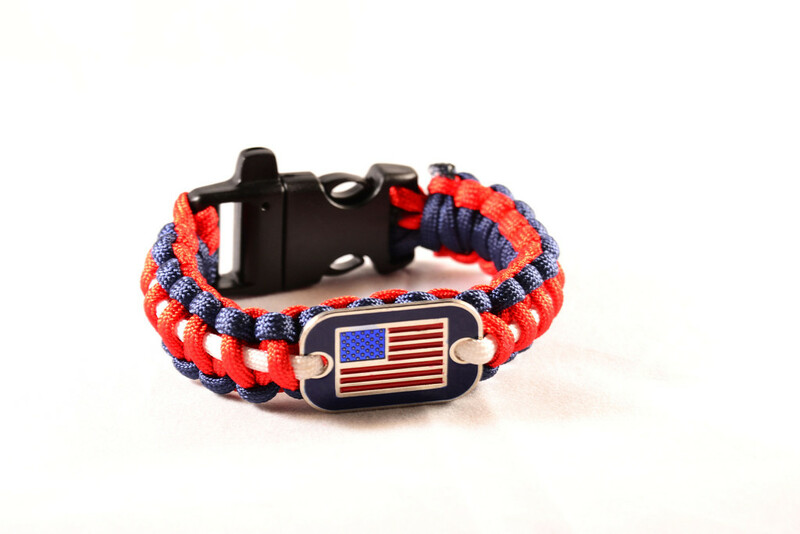 One of our all-time most popular paracord items, the Patriotic Paracord Bracelet has over 10 feet of strong 550 pound paracord and includes a built-in safety whistle. This is a perfect gift to give to your military friends and family! fashionable belt that’s been turned into the ultimate survival tool. This comfortable belt looks great with jeans, khakis and hiking shorts and unbraids to provide over 128 feet of usable, high quality 550 pound paracord. 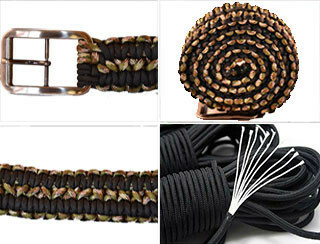 Look good while wearing this stylish belt and know you have hundreds of survival uses wrapped around your waist. 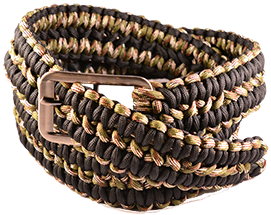 10 feet of life-saving Paracord are in this stylish bracelet. The buckle doubles as a survival whistle. 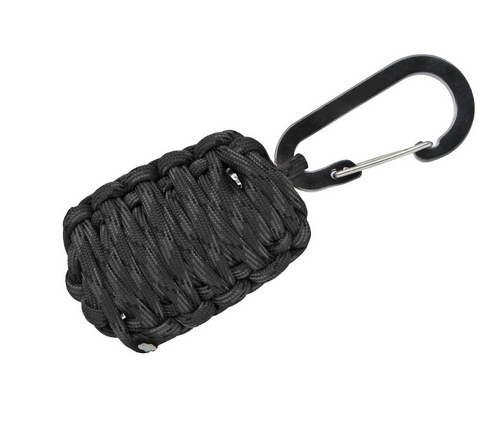 You’ve already seen how useful Paracord is, now never leave home without it. This entry was posted in Emergency Preparedness, Prepping, Survival Basics, Survival Checklists and tagged 550 paracord, paracord, paracord bracelets, paracord checklist, paracord uses on January 29, 2015 by David Adams.